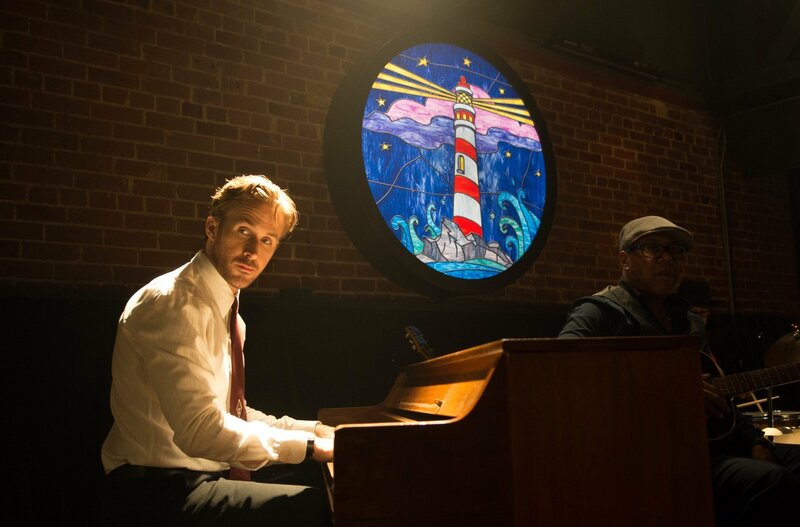 Part of the intrigue of La La Land is the recognition of and partial confrontation with the modern stigma against tradition and the constant pressure to create something new and exciting. The legendary Jazz Club becomes a club for “Sambas and Tapas” which, as Sebastian says, “Is a joke on history.” “Make up your mind and do one thing right,” he says. Keith, played by the ever-suave John Legend, represents the modern cliché of moving on from the past. As much as Sebastian wants to see Jazz thrive, for jazz to live, it must change. It must throw in the synth-beats, the hip hop dancers, the electronic noises and all the other hoopla. The audience feels the tension. We love Sebastian, and he loves jazz, the old jazz. Jazz has got to stay jazz. As much as Sebastian tries to continue with Keith, it doesn’t work. Both the churched and the unchurched can relate to this. While there has been a trend in the church of return to a creedal and confessional faith, emotive, seeker-friendly churches are still the prevailing mainline type. The secular world disregards any sort of evangelical as pathetic, or pitiable know-nothings who have just got lost in the religion of bygone days. Yet, just like Sebastian, Christians know this is not the case. Despite the prevailing attitude about progress being life, going backwards is not death. We go back to find where life has begun. Why is Sebastian the hero in this movie instead of Keith? Why do we want Jazz to stay the same? After a generation of trying new things, the new has suddenly become boring, a joke on history. And as Christians, we must not get caught up with the notion that our faith must evolve and change to keep up with the times. Our church, the church catholic, is not an ever-fluid, ever-morphing body, but a body set and sealed by the blood of Christ. We go back to find where life began. Genesis, the Cross, Acts, the Apostles Creed, Heidelberg, the Westminster Confession, each one of these act as a buoy upon which we can lay hold. Both the devastating and the satisfying part of La La Land is that it ends in tension. Sebastian stands in the past with jazz and yet the woman he loves has moved on. Though he found success and life from the past, did he ever really find joy? Praise be to God that this is never the case for the Christian. We find both life and joy by reaching back. God has given us over 3500 years and 66 divinely inspired books to tell of what he’s done and what he will do. The saints who have gone before us do not hinder us. They stand as “a great cloud of witness” pushing and compelling us to the mercy seat of Christ the King. The creeds, the confessions, they all fail if they do not ultimately unite us with Christ and his Church, both past and present. It is through His Church, fashioned over millennia, that God will bring his people together, and in that we rest. Born and Raised in Nashville, TN. Senior at New College Franklin. Lover of Southern Fiction--especially Faulkner and Penn Warren, and all things Basketball and Chicago Cubs. I find my stereotypes in Reformed Theology and craft beer. Soon to be married to the love of my life, Courtney. Gripped by my Father in heaven, and eagerly awaiting the return of the King in His Glory.